Coconut shake has always been the drink to look for when in Melaka. 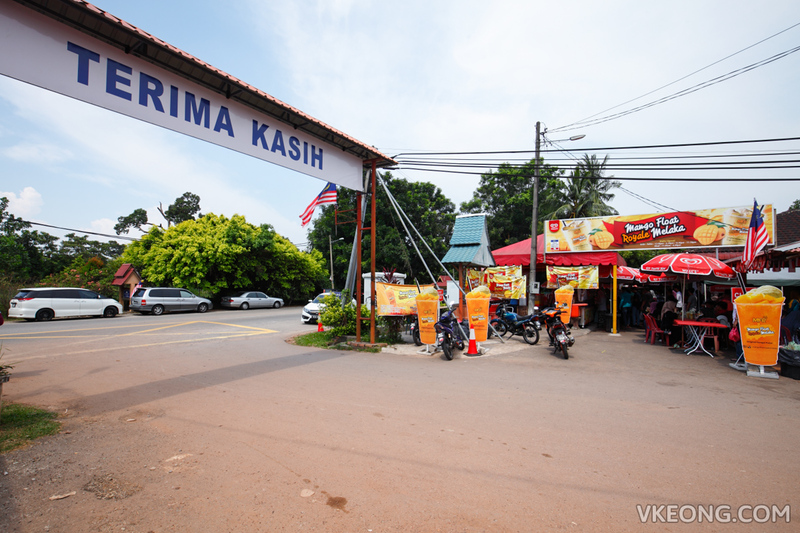 Now, you have an alternative – mango float which can be found at Sungai Putat in Batu Berendam. 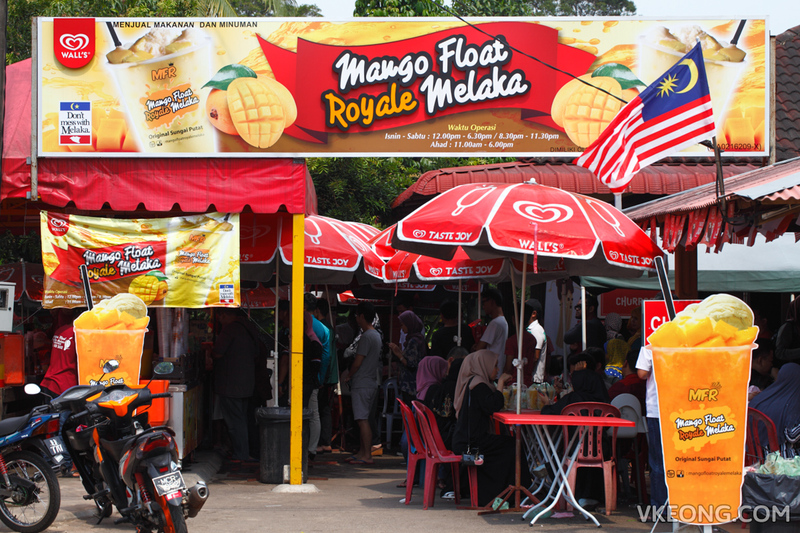 The stall that started selling the drink a year ago is called Mango Float Royale Melaka and should be added to your list of places to try while visiting Melaka. 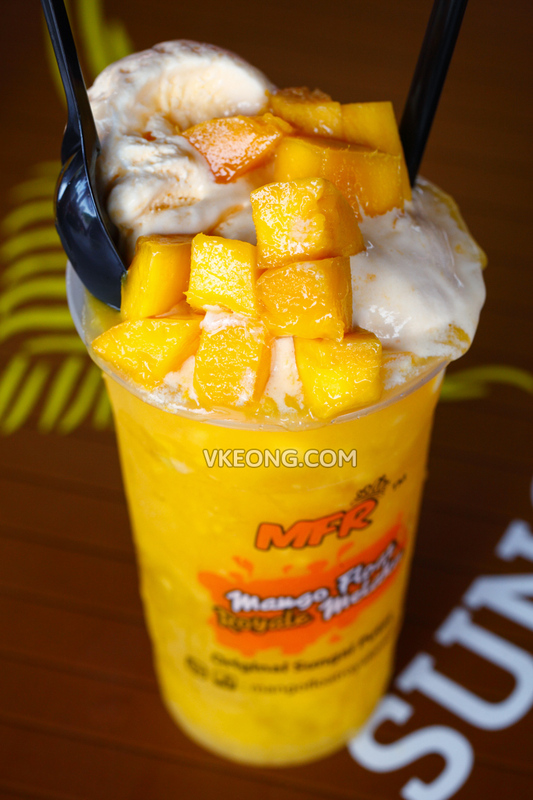 Mango Float Royale Melaka’s owner, Rizal used to be a food trader until he got the inspiration of making his own mango drink online. Instead of making it ice blended, he opted to make his a juice version served with ice cubes. At first, he sold less than 10 cups daily. But thanks to his perseverance (and a little luck), a Facebook page visited his stall and helped to viral his product. Since then, the business has continued to grow and he’s even looking at rolling out a food truck soon. The mango float consists of mango juice which had been mixed with a small amount of mango cordial to set the sweetness, and no additional sugar is added. 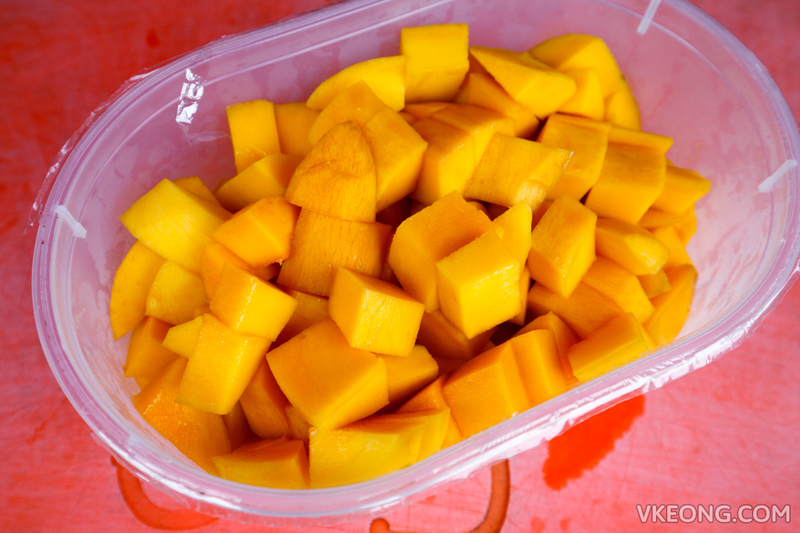 Then a huge scoop of Wall’s vanilla ice cream is added on top followed by real mango cubes. A cup is priced at RM5. As you can see, the mango float’s presentation is beautiful, impressive even considering it’s from a street vendor. Taste wise, I would say it did not disappoint. 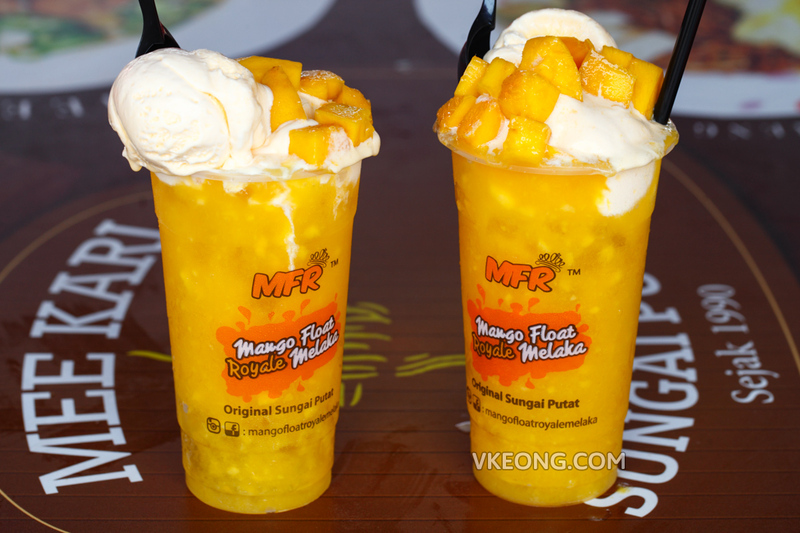 It’s not too sweet and the drink gets really creamy when the ice cream has melted completely into the mango juice. Although the line looks long, it moves at a fast pace because the workers work quickly and efficiently. If you are in the queue, it would not take long to reach your turn. 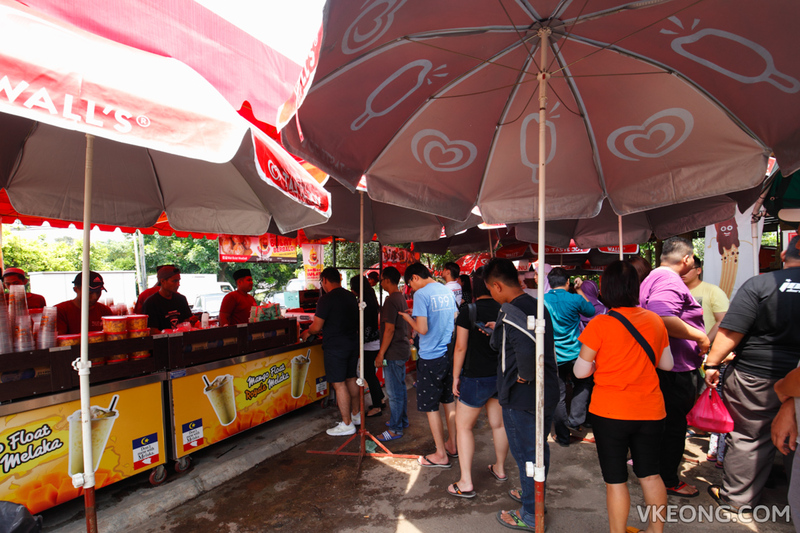 From what we observed, the customers only need to specify the quantity they want, pay, and they will be handed the drinks in no time. 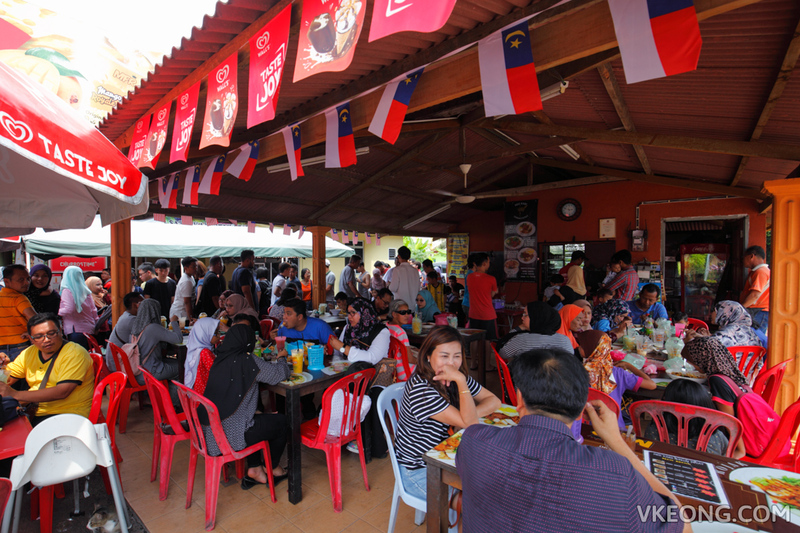 Due to the success of Mango Float Royale Melaka, other vendors have started to congregate nearby to sell all of sorts of snacks, noodles and traditional Malay cakes. So you can also have a full meal here before heading to the town center. 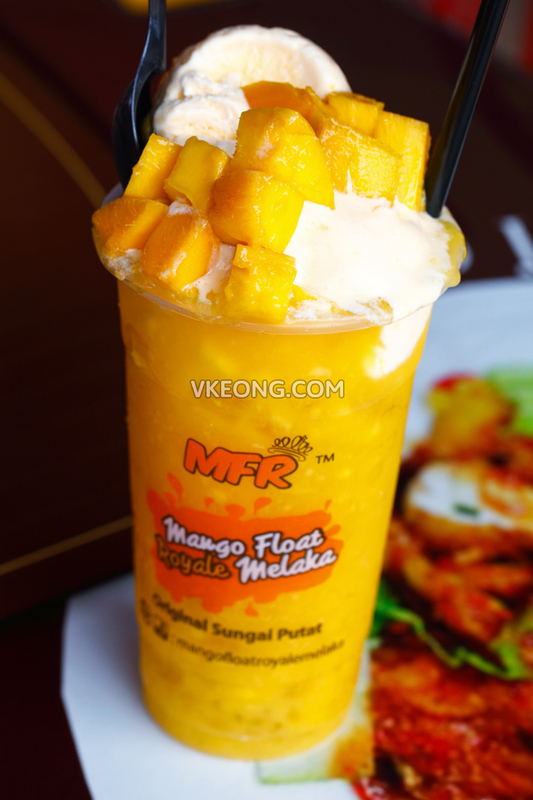 The post Mango Float Royale Melaka @ Melaka appeared first on Malaysia Food & Travel Blog.